In the past few decades, the coyote population has risen in the US. While most people think of coyotes and animals in the wild, you can now find them in urban settings also. Coyotes can easily adapt to their surroundings which is one of the major reasons why their population continues to rise even with urbanization. Coyotes don’t roam around throughout the year. They have specific times when they usually are active. You can find them usually between January-March which is their mating season and September-November when the younger ones leave the family pack. Coyotes are generally afraid of people so you won’t see them approach you. However, with the rising population, they are seen in residential areas more than ever before. You will also find that some coyotes aren’t easily frightened. Since they are getting more accustomed to being in the urban setting, they are starting to get used to people. If you see a coyote, don’t be scared. There are steps you can take to chase them away. Do not run at all, the last thing you want to do is turn your back and run. Make loud noises, this will scare the coyote. You can also clap your hands and wave your arms. Actions like that will also make them aware that you are not afraid of them. If you have a hose nearby, you can spray it to scare the coyote away. If the coyote approaches you and you have no other choice then you can throw a rock or something big towards it. Make sure you don’t hit it and injure it. This should only be done to scare it away. Most coyotes would turn and run after the above actions. However, some may return. If you find that the coyote returns then this could be due to someone leaving food out or actually feeding the coyote. If that is the case then it is better to call animal control and they can handle the coyote. Make sure to also find the source of the food and clear the area out. So the coyote doesn’t return. Also in case you come in contact with a coyote pack, it is always better to call animal control right away rather than try to confront them in any way. Dog owners look for more and more exotic breeds of dogs that they can domesticate. The coydog which is a mix between a dog and coyote is one of those exotic breeds that has come about. The breed is usually a mix better a husky or spitz and a coyote. 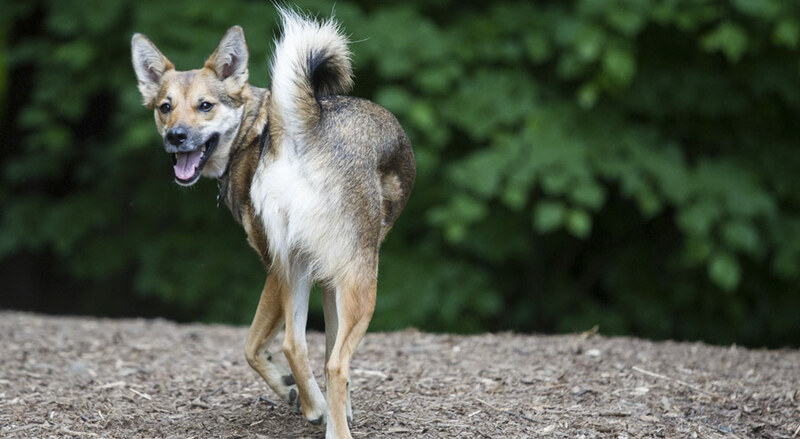 The coydog takes elements from both sides and is generally a wild, fun and spirited breed that is quite exciting to have. 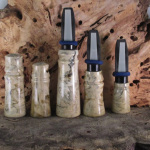 They serve well as jogging and hunting partners as they are an active breed. Exactly when the breed came about is unknown, some even believe the breed to be a myth. However, you will find many breeders that say that they breed coydogs. The legacy of the coydog has been traced back to the Teotihuacans who loved to keep dogs to help with hunting. They wanted to make a breed that was loyal and powerful so decided to breed coyotes with a dog. There is no set appearance of the coydog as it varies depending on the dog and coyote breed of the parents. However, they are generally athletic looking with bulky bodies, long muzzle, and triangular ears. The tail of coydogs are bushy and are usually down. They can weigh anywhere from 60-120 lbs and grow to be 22-27 inches, depending on the breed of the parents. Coydogs temperament is different than most dog breeds. They aren’t very family friendly and not predictable at all. They don’t blend well with other dogs, however, if you keep it on its own it will serve as a great dog. They are energetic and can get very hyper. You will need to take it out often especially if you keep it indoors. 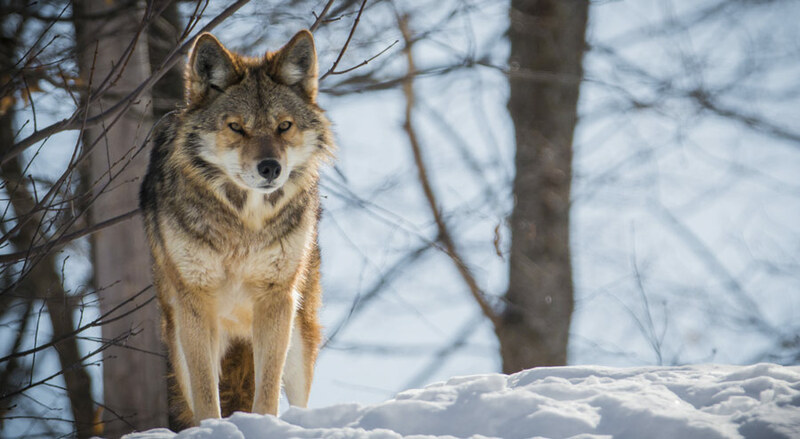 The personality of the coydog varies, one moment they can be shy around visitors and the next moment be very aggressive with them, making them very unpredictable. Since the coydog is active, they aren’t ideal for urban settings. So keeping them in apartments isn’t the best idea. They need large spaces to move around and play so it is important to keep them in a yard where they can easily move about with limited restrictions. Why do Coyotes Howl and Scream? You normally expect to hear a howling sound in the wild. However, today you can even hear it in urban and suburb settings as coyotes venture into these areas more. Especially in the Northeast region of the US. If you aren’t familiar with coyotes and how they communicate, the howling and screams may sound more threatening than they actually are. Call the pack back after hunting. Let other packs know that the coyote is present. Not every coyote in the group will howl at all times. The howl is generally produced by the alpha coyote, the head of the pack. The alpha has the loudest howls while others from the pack may join in. The female and beta coyotes have lower tone yips and howls. 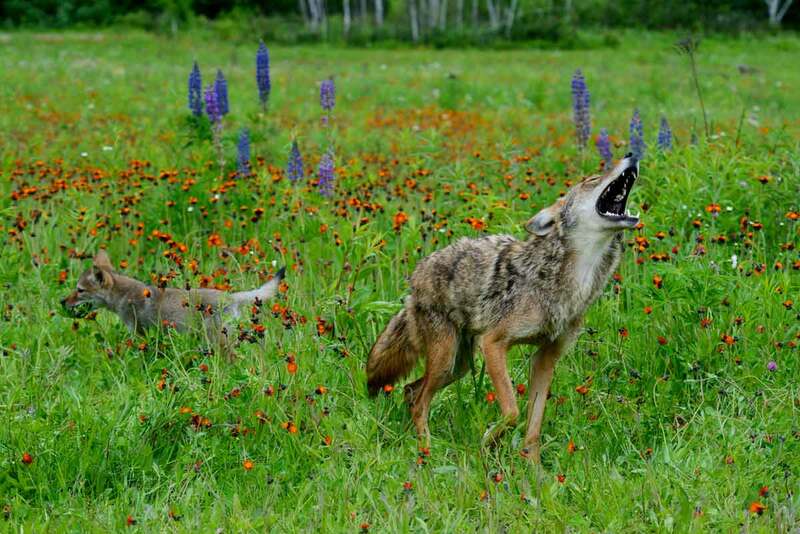 Howl is actually a way for coyotes to promote bonding within the family. When they howl together, they let everyone else know that they are in charge of a certain territory. 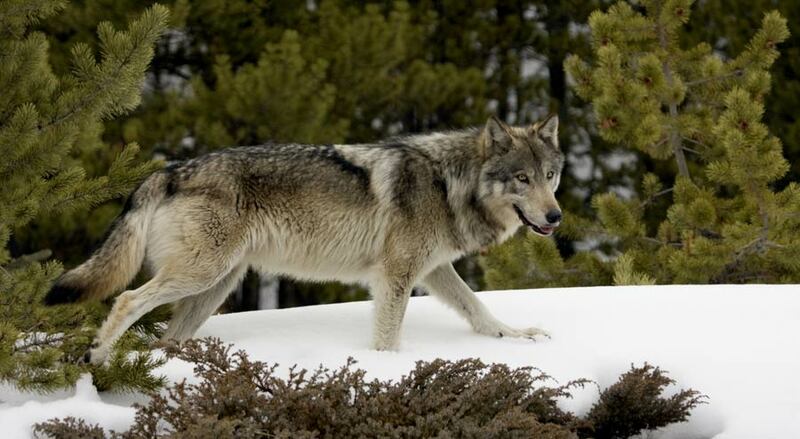 Along with the howling, they leave a scent in the territory marking it as their own. When a coyote notices an intruder in their territory, they bark and howl at it. This immediately tells the intruder to leave the territory. The intensity of the howl at the time depends solely on how agitated the coyote and its pack are. The more agitated they get the more intense the howling will be. It may be hard for our ears to pick up but each coyote has its own distinct voice. So howling also allows coyotes to tell whether a coyote of their own pack approaches or one from another pack. Most of us have been taught that coyotes usually only howl when they have a kill. 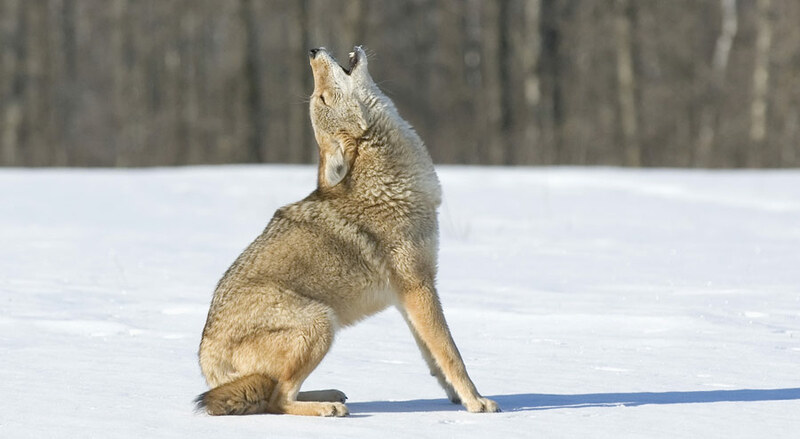 While they do howl when they have a kill to let the others in the pack know, the howl has many other distinct functions that allow coyotes to communicate with one another. As the population continues to grow in the US, humans are developing homes and encroaching land from the wildlife. Which leaves animals and others to either adopt or pretty much fade. The coyote is such an animal that has been adapting to urban and suburban settings. As other animals are not able to adapt, the coyote has been able to. In fact, coyotes have been spotted in the most of urban settings, Central Park in New York. Due to the rise in coyote spotting around the country, people are warned to protect their homes specifically in the Northeastern region in the suburbs. While coyotes don’t generally attack humans and are scared of them, you still don’t want a coyote roaming your backyard, especially if you have pets. It may not attack you but coyotes are known to attack smaller animals. Coyotes are athletic and clever which can make them a pest if you don’t have proper fencing. Looking at a coyote, you wouldn’t think they were amazing jumpers but they are. They can easily clear a fence of 5 feet and bigger ones can jump fences of uptown 7 feet. If you are fencing your home to keep it coyote-proof then you want to have fences that are just above 7 feet long. Make sure the fence is smooth, vinyl and smooth stucco, and solid. You also want to add long extenders to the fence that face outwards at an angle of 45 degrees. The extenders should be 12-16 inches long. These would prevent any climbing of the fence by coyotes. Coyotes are good diggers also, so you want to make sure the fence is at least 2 feet deep so the overall length should be around 10 feet, 2 feet under and 8 feet above the ground. Properly fencing your home is important if you want to keep coyotes out of your yard and home. They are easily attracted by the garden, trash, and any food that may be left out, especially if you have any pets. 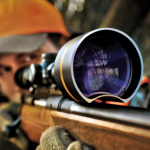 Be cautious and take the right measures to ensure your home is safe from any wild intruder. Tagged How high a fence can coyotes jump ? 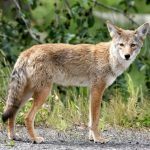 Coyotes have become a pest to the wildlife in Georgia. As the population of coyote rises, their predatory nature has impacted the wildlife as they prey on smaller animals. Georgia held the Georgia Coyote Challenge for the second time this year and it is becoming an annual occurrence now. Coyote hunting and trapping is allowed year-round in Georgia as there is no law against it. The predator has been known to attack pets and livestock in the state also and therefore people aren’t too fond of coyotes. It is up to the people of Georgia to take charge and do something against the predator. 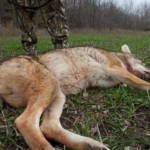 The challenge which took place between March and August asked hunters and trappers to submit pictures of 10 coyotes that they hunt or capture. Doing so will give them a lifetime license to hunt and trap coyotes or they would be eligible for a prize worth the same value. All participants have to do is send their photos in by e-mail to coyote.challenge@dnr.ga.gov and a form will be sent to them. Why was the challenge started? In the recent past, there were numerous reports of negative interactions with coyotes and wildlife and residents. There were also many sightings of coyotes in urban and suburban areas which raised a lot of concern. The best way to get rid of the predator was to have them lethally removed so the challenge presents people with that opportunity. There is no bounty in the program as the program is solely to help in reducing the growing coyote population in the state. The challenge is run by the Department of Natural Resources and while the department mainly works to conserve wildlife it has made an exception for coyotes. As coyotes are hurting other wildlife in the region, therefore, the challenge was launched. 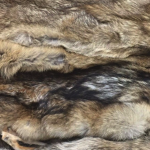 The main purpose to the program is to effectively manage the hunting and trapping of coyotes, something that was going on even before the challenge. As a dog owner, there are numerous things you need to be aware of to keep your dogs safe. However, a coyote probably isn’t one you were aware of. 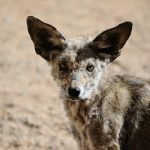 With the rising population of coyotes in North America do you really need to take precautions so your dog is safe from a coyote? 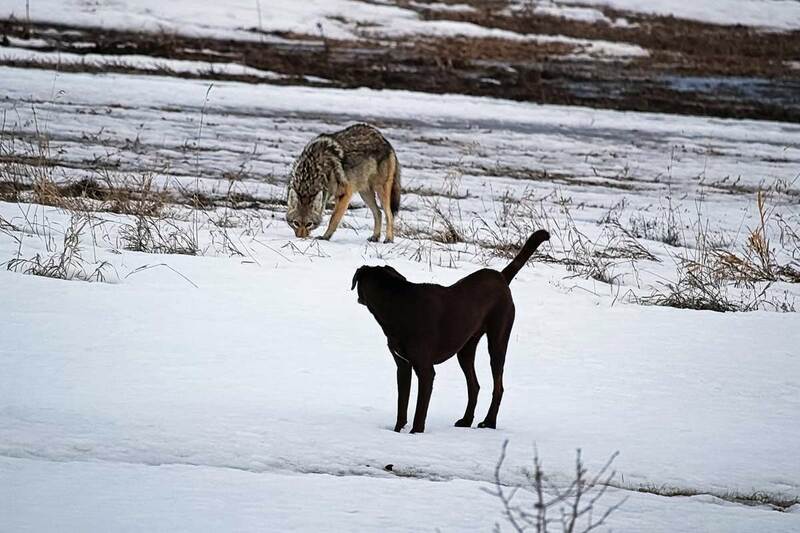 You now find many incidents in which coyotes attack dogs. Especially in the suburban communities where coyotes tend to roam at night. These coyote attacks are becoming more and more common. Coyotes are very opportunistic and while they don’t eat dogs, if they do find an easy prey they will attack. A small dog on a leash in the backyard is definitely an easy target for the coyote as it can’t do much. 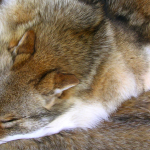 Coyotes usually target smaller dogs like poodles, Yorkies, and Shih Tzus. Which leads us to the question. There have been reported instances in which coyotes have attacked pitbulls. They roam into yards with pitbulls and end up attacking them. Both pitbulls and coyotes are very territorial. So if either one was to roam into the territory of the other, chances are they would end up fighting. While pitbulls are much larger than the main breed of dogs coyote attacks, a coyote doesn’t specifically shy away from them. When there is an attack though, who wins depends on the case. However, you will find that pitbulls can put up a fight and end up winning more often than not. Pitbulls are strong dogs that are known to fight. There have been reports of pitbulls scaring coyotes away, protecting their territory. If you want to make sure that coyotes don’t wander into your yard and attack your dog. We recommend installing longer fences. You also want to make sure you throw your trash away properly. Garbage, especially food you throw away attract coyotes. When you feed your dog, make sure the food doesn’t just lie in the yard and is properly given to them. As that can also attract coyotes. Also, never ever feed a coyote if you spot one. If you do, the coyote will continue to come to the area looking for more food. The state of Minnesota has been a home for coyotes for decades. Coyotes which are part of the dog family are predatory animals. They can range in size from state to state. Minnesota has seen a rise in coyote population and the predator in the region weigh on an average 30 pounds and can grow to be 18” in height. They have a thick fur coat so they may appear to be larger than they actually are. 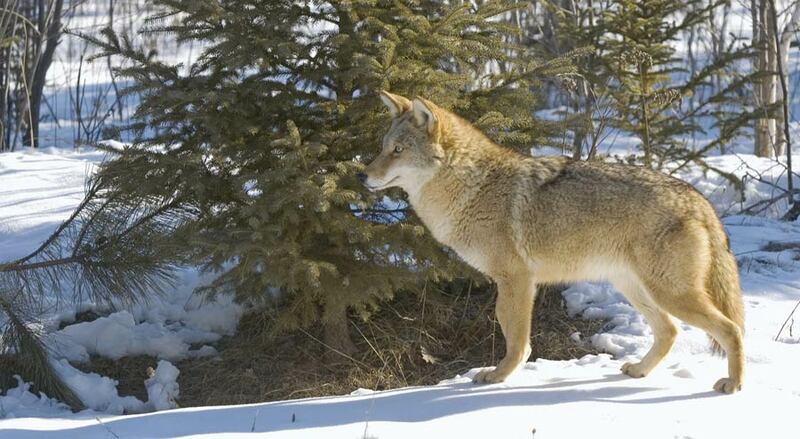 Coyotes are different than wolves and many people have trouble telling the difference. They have a brown/gray colored coat and look slightly like a German Shepard. Coyotes don’t travel so much in a pack in Minnesota and they are usually spotted alone unless they have young pups with them. With family is probably the only time you will see them in a pack. Coyotes are opportunistic and pretty much eat what they can find. They have an appetite for meat and are known to hunt smaller animals like rabbits, mice, birds, and even smaller deers. But that isn’t all they eat, they can eat berries and fruits they find in the wild. The population of coyotes varies throughout Minnesota. They have even been sighted in the Twin Cities metro area. The area has seen a steady rise of coyote population. 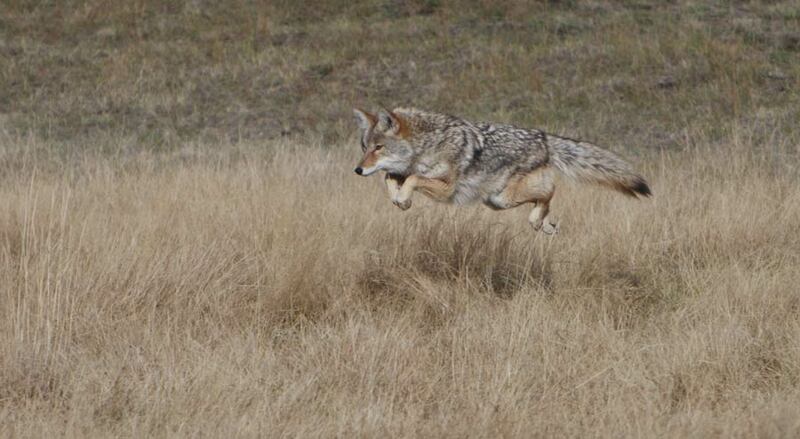 While coyotes try to avoid people and are usually scared of them, they are known to attack livestock in the region. They may even attack pets in the yard especially if they are much smaller than the coyote. One of the biggest mistake people make is to leave trash bags or food out for coyotes to eat. This only tells the coyote to keep coming to the place for more food. They love to dig through trash and look for whatever they can find to eat. So it is important for people to take the right measures and not attract coyotes. As they are becoming more and more accustomed to living in an area that is surrounded by humans. While there haven’t been many incidents reported of coyotes attacking humans, with time that can increase. Coyotes are a part of the dog family, so it may be hard for an average person to differentiate between dog and coyote tracks. However, to a trained eye, it can be fairly simple to tell the two apart. There are subtle differences in the tracks between the two that if you know what to look for, you can tell them apart. 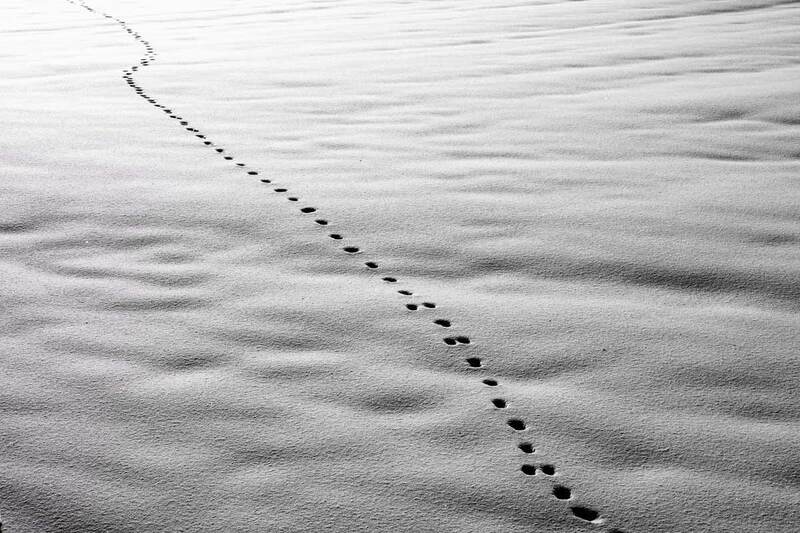 When you find a track, it is important to look at more than one print to get an idea of what animal left the trail. At times, the track of dogs and coyotes look so similar that it may be hard to tell them apart just by looking at one print. We have the two different type of tracks summarised so you know how they differ. The dog track print has a roundish shape and their claw is blunt since they walk on pavements alone. So you will notice that the claw print are usually not as pointed at the top. The two center toes are closer to the heel pad while the two toes at the corners are pointed outwards. Since the shape is roundish and the toes are not evenly spaced out from the heel pad, it would be difficult to draw an “X” in the middle of the toe prints and the heel print, in the negative space. The trail of the print will usually not be in a straight line or leading to a place. It will be here and there which show that the dog was just out and about rather than looking for food or hunting on prey. Coyotes track is overall an oval shape and their claw prints will be more pointy at the end since they don’t have as much contact with pavement or hard surface floors. The two center toes print are positioned at the top of the heel print and the corner two toes are pointed inwards. There is plenty of negative space between the heel print and the two center toes for you to draw an “X” in the middle. When you can’t tell the difference apart from in terms of prints, then it is important you pay close attention to the trail itself. The trail left behind by coyotes are more straight and almost business oriented since it would be from them having a purpose to be out and about as opposed to a dog. It takes a little practice but once you have the difference down, it gets a lot easier to identify the difference between a dog and coyote tracks. Will a Coyote Attack Dog or Cat? The urban coyote has made a name of itself as a fierce nocturnal predator that is known to prey on smaller animals. 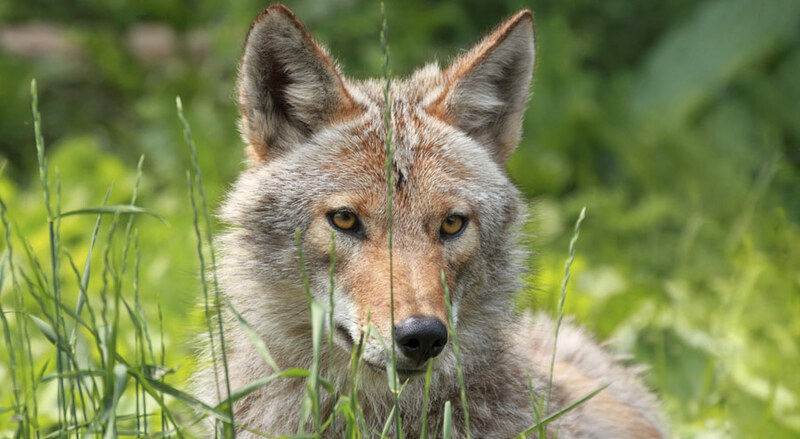 While you normally see coyotes prey on rats, rabbits, birds, and smaller animals in the wild, they will not hesitate to attack a cat or a dog if they come across one. Coyotes may be shy from human and you don’t find many incidents of them attacking humans. They are, however, becoming more urban which means they encounter our pets and they will not hesitate to attack them. Coyotes are smart animals and know exactly what to attack. You will rarely see a coyote attack an animal bigger than it. So cats and smaller dogs would be in threat when around a coyote. They may even attack bigger dogs but those are not a common instance that occurs. So if you live in an area where coyotes have been spotted, you may want to take some precautionary measures to ensure your dog and/or cat stays safe from coyote attacks. Don’t leave food out that a coyote can track and eat, including pet food. Coyotes are known to constantly come to an area where they have found food, so never intentionally feed a coyote. If you have a barbecue grill be sure to clean it properly after use and keep it away inside a garage. When leaving trash out, secure it in a bin. Coyotes are known to dig through trash that is left out for food. If you have a fruit tree then you should make sure to pick up any fruit that has fallen and doesn’t let them rot on the ground. Fruits are a part of the coyote’s appetite and they enjoy eating various types of fruits and berries. Fence your yard properly. Coyotes are athletic and can scale fences up to 7’. You want to make sure your fence is higher so that coyote can’t easily come over. Also, be sure it is deep cause they can dig under it too, we recommend at least having it 2’ into the ground. Those tips should help keep coyotes from your home and yard. You also want to make sure that you don’t let your pets roam freely in the yard all the time especially in the night. The night is when coyotes usually go out looking for prey so keep your pets inside. Spotting a coyote in the urban or suburban setting is not too common. While their population may be increasing, the animal is nocturnal and seldom come out during the day. They usually move during the day only to search for prey and most humans encounter them when they leave food out that the coyote can pick up through smell. Even if you do come across a coyote, chances are they will be scared of you more than you are scared of them. Humans aren’t a natural prey of coyotes so they usually do not attack. They also scare off easily so you shouldn’t be too scared. If the coyote doesn’t run when they see you then they are probably accustomed to being around humans. Some people unknowingly leave food out for coyotes so they become used to being around human even without them actually being present all the time. When this happens, coyotes are more reliant on food that they find in the suburban or urban setting. They usually go through the garbage and other items they can find out. So encountering them is more common because of that reason. So do coyotes attack humans? Like we mentioned humans are not on the list of preys for coyotes. You probably have a better chance of being killed from a champagne cork than you do from a coyote bite. In fact, more humans die from an errant champagne cork than they do of a coyote attack in a year. Coyotes won’t go out of their way to attack you, they are scared of humans. It completely depends on your behavior around the coyote. There have only been 2 deaths related to coyote attack since the 1980s. So coyote attacking humans is very rare. There are even rare instances in which coyotes bite humans. The animal-like other warm-blooded animals contract rabies. So in the rare instance that a coyote does attack, it important the person get tested for rabies. But like we said, humans have a higher chance of being killed by an errant champagne cork than that.